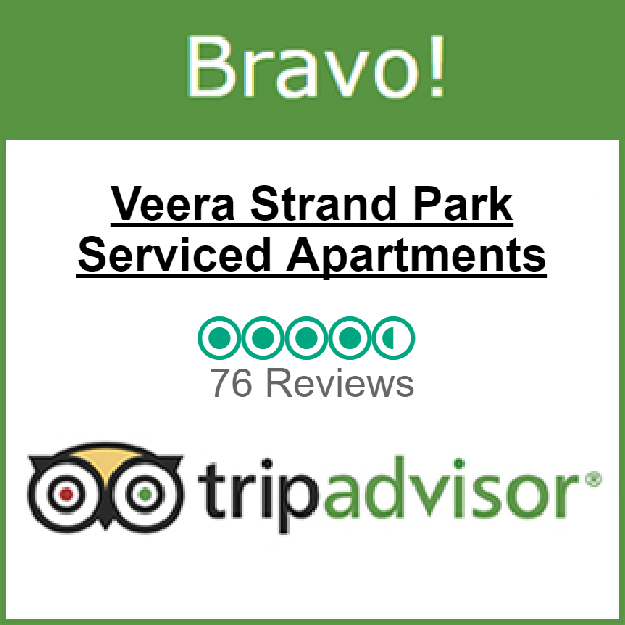 Veera Strand Park offers serviced apartment in Calangute, Goa providing accommodation to guests who require such facilities. How far is the Beach from your property? Beach is only 1KM. It is takes around 7 minutes walking distance from VSP. No. But we provide WELCOME BASKET on arrival that comprises of Milk, Cornflakes, Bread, Butter, Jam, Juice, Chips, Chocolates, etc. No. But all the best restaurants are located in close proximity. You also have several Home Delivery options. What info do you need about me and why? 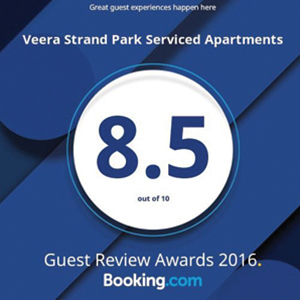 You will be required to enter your Name, Address, Contact numbers and email address for the purpose of making a reservation on www.strandparkgoa.in. Can I reserve a serviced apartment for someone else? How do I pay for my online hotel reservation? Please contact the management at info@strandparkgoa.in for making online payment. How do I book a serviced apartment? Fill the details as required in the BOOKING FORM. Credit Card details and other information if required can be given in the message box. Choose to SUBMIT to connect to the reservation department. Reservation department will contact you within 24 Hours. Once approved by the management, you will receive an email confirmation of your reservation. How do I know what sort of serviced apartment to expect? What do I do if I am not happy with my serviced apartment when I arrive? Any matters related to dissatisfaction of the serviced apartment product or services need to be addressed directly to the hotel's management. How do I cancel my serviced apartment reservation? Please contact the management at info@strandparkgoa.in for amending or cancelling a booking. Please refer to your confirmation e-mail with reservation number. You will receive an email for the cancelation. Do I have to pay if I decide to change or cancel my serviced apartment reservation? Reservations cancelled/amended before 72hrs from date of arrival will be “full refund”. Reservations cancelled/amended within 72hrs from date of arrival will levy “Full Retention”. Do I need to give some security deposit also? Yes you are required to guarantee a security deposit through your credit card which is only charged in case of any damage to the property or its belonging. In case you don’t have a card, then Rs10,000 is kept as refundable security deposit. Who do I contact if I have a question not covered here? What can I do if I am experiencing technical difficulty with the strandparkgoa.in website?